Lalhi Chhath Vrat, also known as Hal Chhath, is observed in Bhadrapad month (August - September) in North India and the ritual is dedicated to Balarama, the elder brother of Bhagavan Sri Krishna. Lalhi Chhath 2019 date is August 21. The vrat is observed on the sixth day during the Krishna Paksha (waning phase of moon) in Bhadra month in North India - Bhadrapad Shashthi tithi. As it is observed on the sixth day the Vrat is also known as Lalhi Shashti Vrat. A fast is kept on the day by women in North India. In some regions, the devotees who observe the fast do not even drink water. Grains produced as a result of ploughing (use of Hal) the ground is not eaten on the day. Milk of buffalo is used on the day. Another highlight of the festival is the use of Mahua Twig to brush the teeth on the day. Branches of kash, palash and jharberi are worshipped on the day. An offering of seven grains are also made – wheat, rice, maize, gram, moong, arhar and jawar. Lalhi Chhath Vrat katha or story associated with the ritual is listened to on the day. 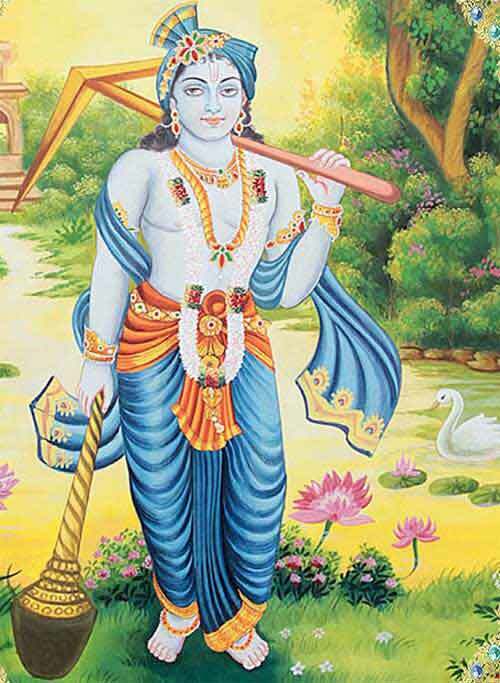 It is the birthday of Balarama, the elder brother of Sri Krishna. It is observed for peace and prosperity in the family. Some women observe it for the good health of children. Some people observed it for begetting strong children.